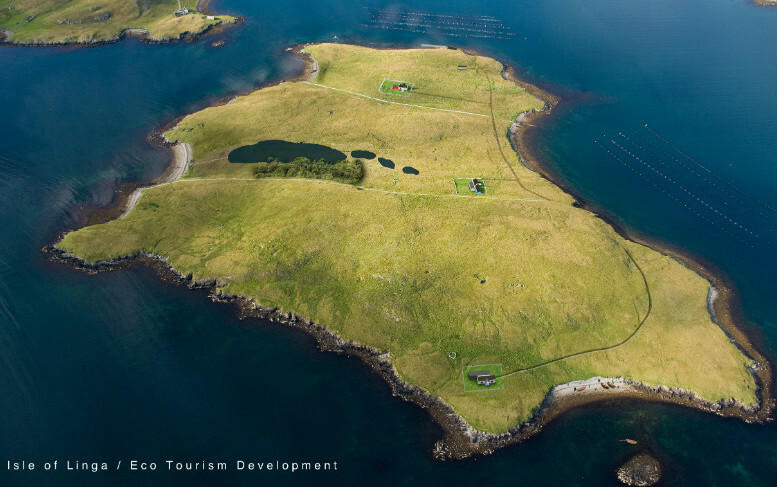 THE SMALL private island of Linga off Shetland’s west mainland could be given a new lease of life by a Norwegian co-operative of naturists, who have expressed an interest in purchasing the property. The 64 acre island that lies in the middle of Vaila Sound came to the attention of the Norwegian naturist federation Norsk naturistforbund (NNF) last year. It appears that the idea came from a number of Shetland families who fly to Bergen on holiday each summer and have persuaded the organisation to look west to expand their portfolio. When the co-op heard about Linga, which is being advertised for offers over £250,000, they saw the potential for a private resort within easy distance of civilisation. NNF spokeswoman Inge Aprilsnarr explained: “As you may know, naturism is very popular in Norway and many people from other countries come here to take their clothes off. Aprilsnarr said the organisation was always looking to promote naturism in Scandinavia and saw Shetland as a natural extension of their territory. “I understand that Shetland people are shy, but we are hearing that things are changing,” she said. In Norway the popularity of going naked has taken off over the last few years with “naking” where people go to remote places and take pictures of themselves with nothing on. “I think something similar is happening in Shetland. I have seen one of your calendars, I think for charity, They seem very popular,” Aprilsnarr said. 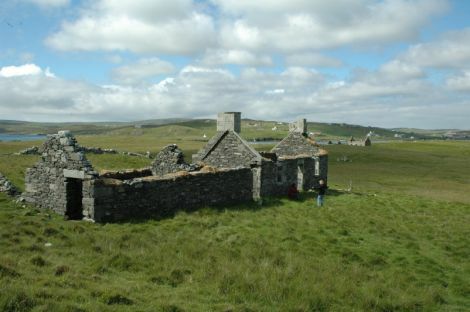 The isle of Linga was last inhabited in 1934 by the Sinclair family who kept sheep on two busy working crofts. It was bought by marine engineer Bob Thomson, from Walls, who has made a success in the oil industry based in Texas. In 2011 Thomson gained planning permission for an “unplugged” eco-tourism development on the island, restoring the two croft houses, building a jetty, generating electricity from renewables and disposing of sewage in a reed bed. Councillors backed his plan despite officials objecting to repopulating an uninhabited island. Since then Thomson has backed away from his scheme and placed the entire island on the market. As word has filtered out about the Norwegian naturists’ plan, some concern has been expressed about the lack of shelter from prying eyes with the nearest house in Walls only a few hundred metres away. 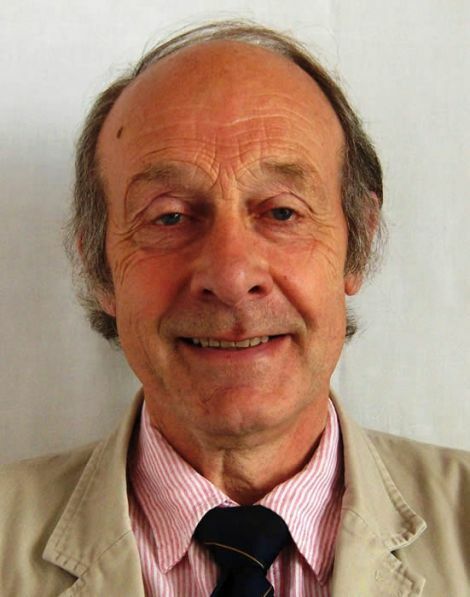 The island’s owner was unavailable when efforts were made to contact him this week, but local councillor and childhood friend Frank Robertson was enthusiastic about the plan and thought it would work. “Bob has planted thousands of trees on Linga already and with the drystane dykes restored there should be plenty of privacy from the odd Shetland spyglass,” he said. NNF said they would develop the two croft houses as accommodation, and would be hoping to attract campers and boating enthusiasts who could stop off on the island and berth their vessels at the proposed jetty.